This is a simple holder, made in canvas cotton. 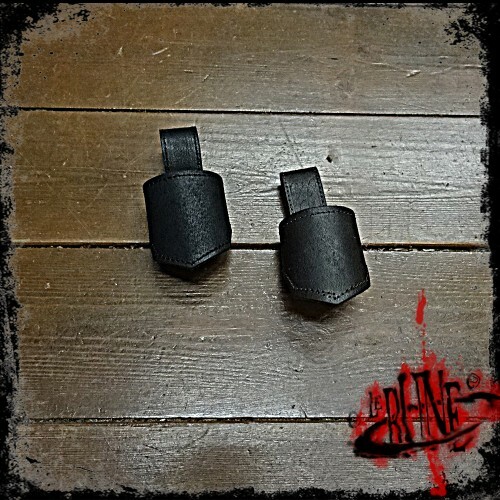 The design of the holder makes it easy to wear .. 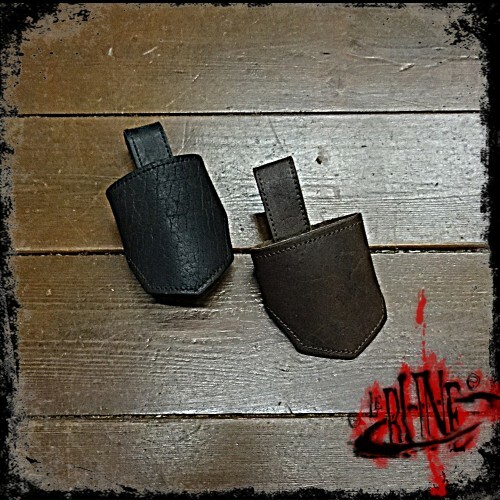 This nice holder is produced in buffalo leather. 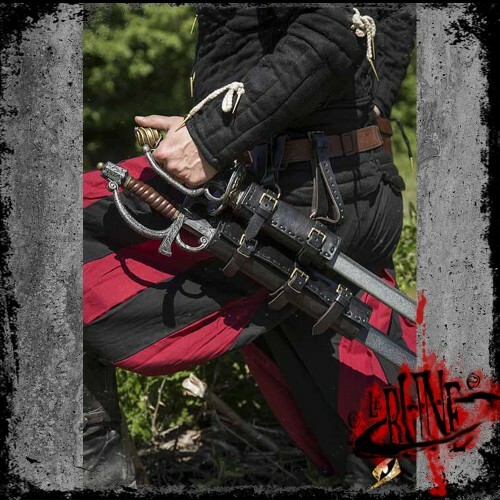 The horizontal holder is good for any kind of weapo.. 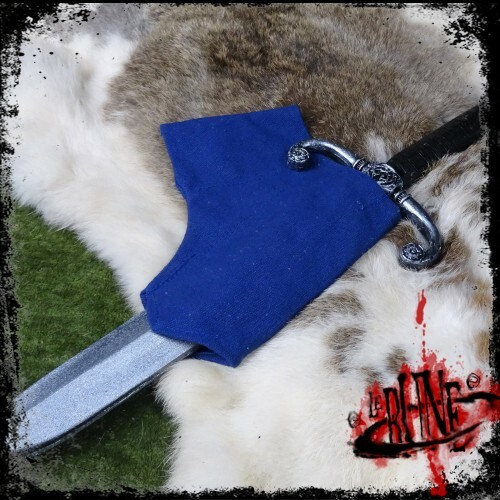 This simple vertical holder is produced in buffalo leather.Gareth large holder is good for swords, m.. 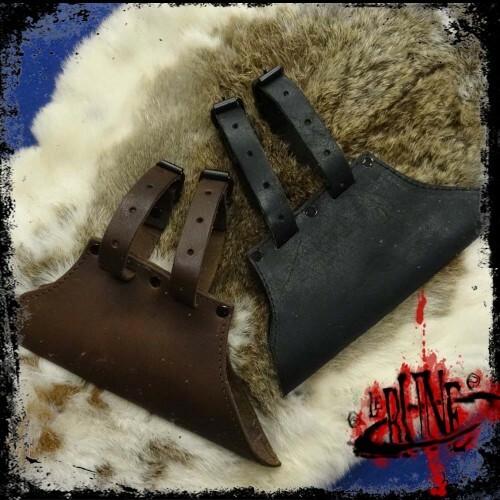 This simple vertical holder is produced in buffalo leather.Gareth smallo holder is good for thin swo.. 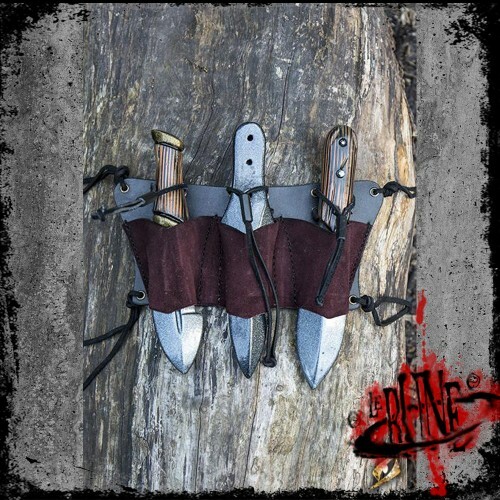 This Throwing Knives Holder is a leather frog that keeps up to three throwing knives handy when the ..